The Doors Bar and Restaurant in Thong Nai Pan Noi has closed down. It is a shame - the beautiful wooden building was a positive asset to the beach. I guess the location was the biggest problem for the commercial viability of the business - it was simply too far from the beach front. 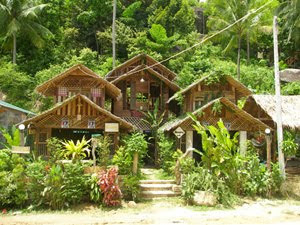 The same can be said for the Otto Bungalows next door and the Pankaew Restaurant. These two businesses seem to survive on near zero customers. Another change is the KP Property Office. 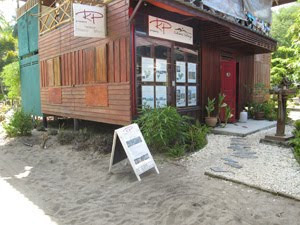 Recently it was re-designed so the front entrance was facing the main thorough-fare in Thong Nai Pan Noi. Now rumour has it that it is closing down and the premises are to be taken over and turned into a cafe. The final piece of news is that Thong Nai Pan Magazine now has links to hotel booking engines so you can read independent reviews about accommodation in Thong Nai Pan and then book on-line. Obviously, old school places such as Tapan Noi and Pen's Bungalows continue to opt out of internet booking schemes. If you want to book the very popular Dolphin Bungalows then you have to contact the owners by email.